About 3 years ago my life-long friend Alexis introduced me to the idea of fish tacos. When she told me the ingredient list to make them, I thought she was crazy , but she said they were a family favorite. She made them for me shortly after, and I’ve been hooked ever since. Out of everything I make, fish tacos have to be one of the top dinners my husband asks for. I don’t blame him, I love them just as much! The fact that they don’t take very long to make is always an attraction too. As I just mentioned, the ingredient list seems a little ‘iffy,’ but please, just give them a try just once…you won’t be disappointed. I haven’t served a single person who hasn’t fallen in love with these. Beat eggs in a small bowl until thoroughly combined. Place flour, chili powder, salt, and pepper into a large gallon-sized bag and shake until mixed. 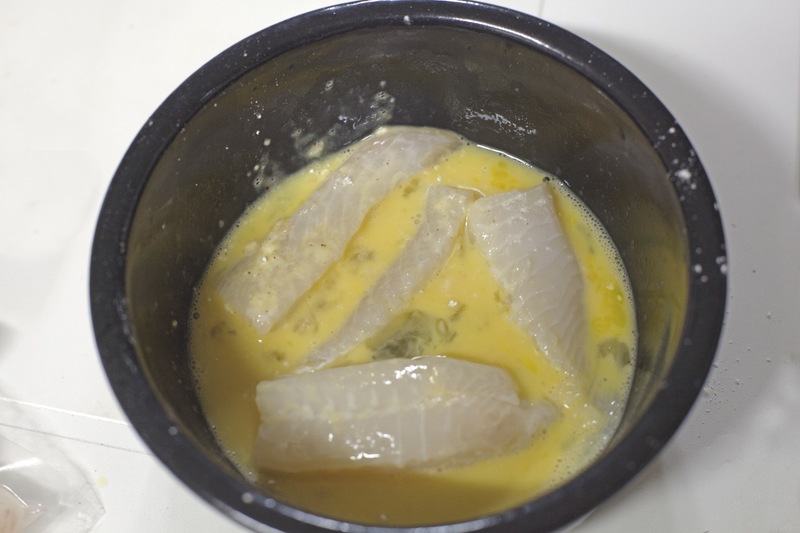 Cut each of the tilapia filets into four strips. 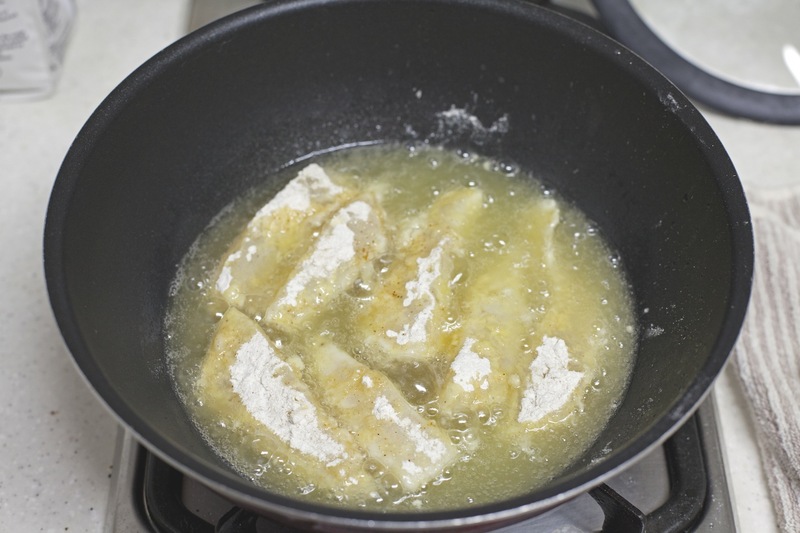 Place them in the egg mixture, thoroughly coat, and then place into the flour mixture. 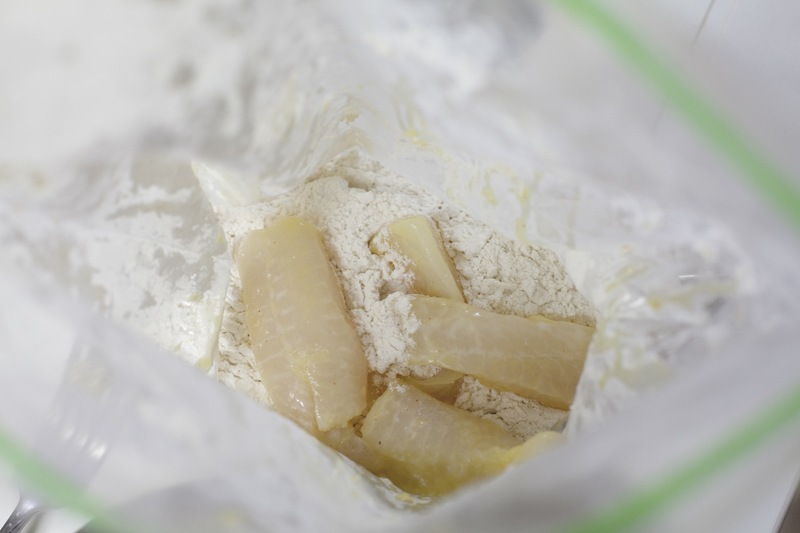 Shake the bag until the filets are thoroughly coated. I usually do four-six strips at a time. Heat vegetable oil in a large skillet. 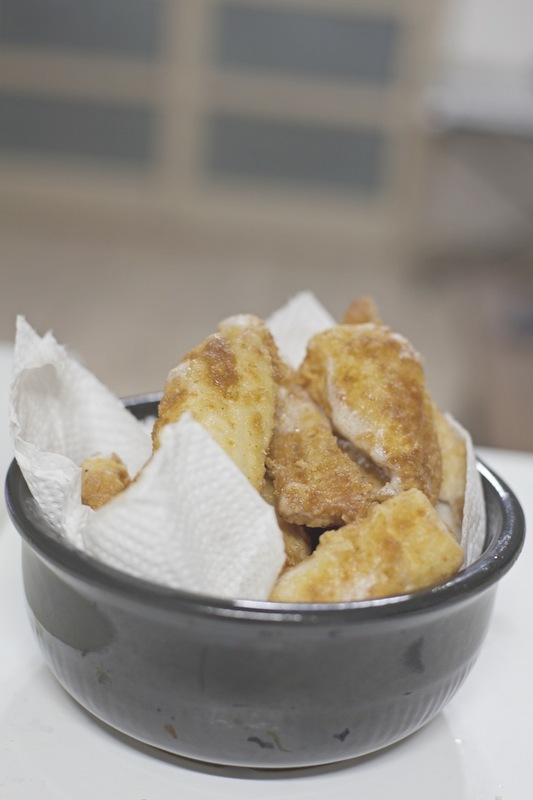 Fry fish on medium heat until golden brown. 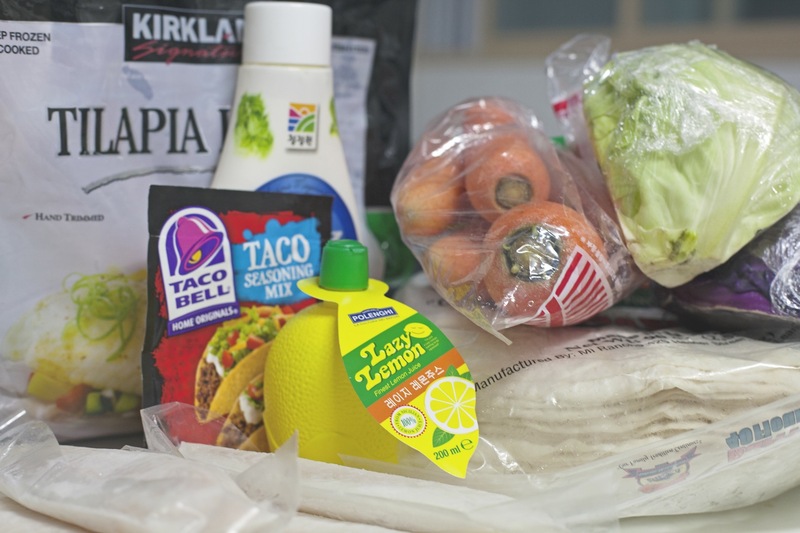 While the fish is frying, you can get your taco filling started. 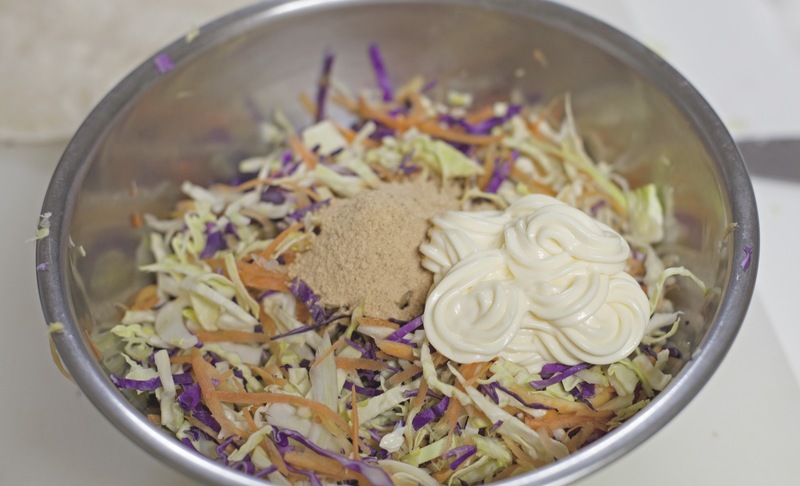 I had to make coleslaw from scratch due to the grocery stores being closed for an entire day (something about letting the farmers make revenue…they’re closed the 2nd and 4th Wednesdays of every month). Add the mayo, lemon juice, and taco seasoning and mix. If it seems a little too dry, add more mayo. Too much mayonnaise? 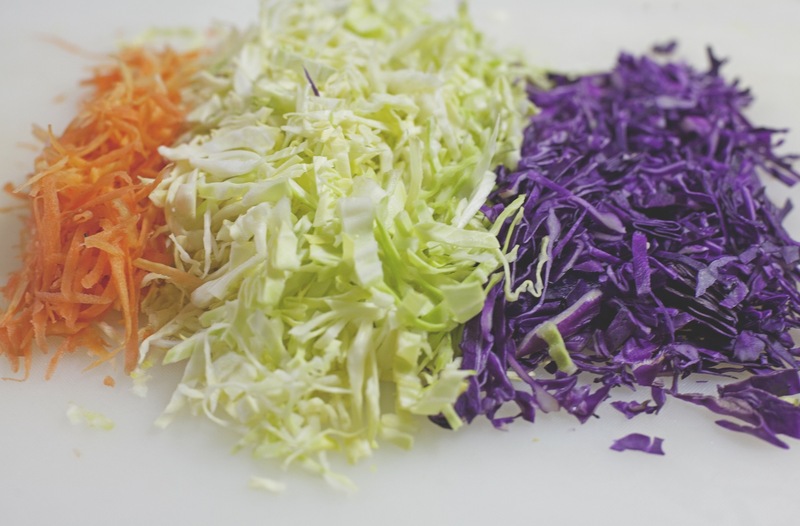 Add more slaw. 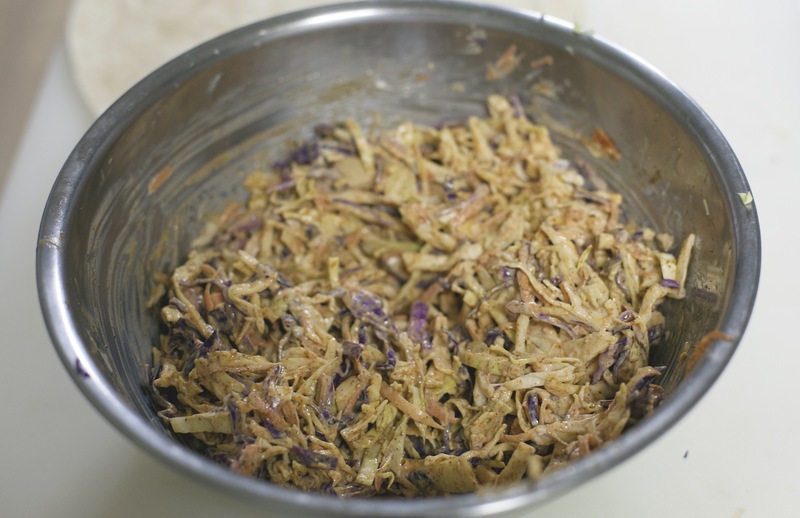 Once the filling is thoroughly mixed and the way you want it, you’re done! Heat up tortilla shells or taco shells (whatever you prefer, I can only find tortilla shells in South Korea), and dish up! 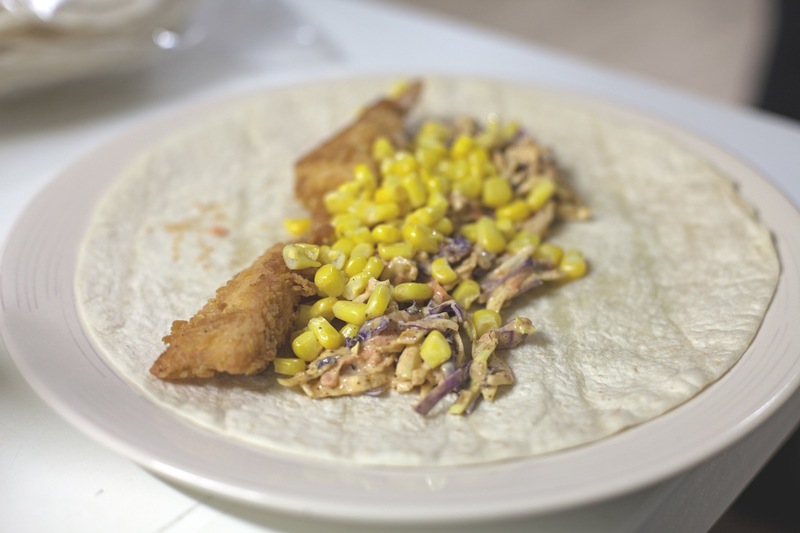 The golden combination is 2 pieces of fish, a strip of filling, and…..I LOVE sweet corn on mine! The husband prefers to add a little crunch with nacho chips. We’ve also tried them with black beans, which was also good. Enjoy. :) If you make these, please tell me how you liked them!